This little 8 Watt Selmer has just joined the collection. Built 1947 and still working! Forty five watt - 2 channel combo with reverb. 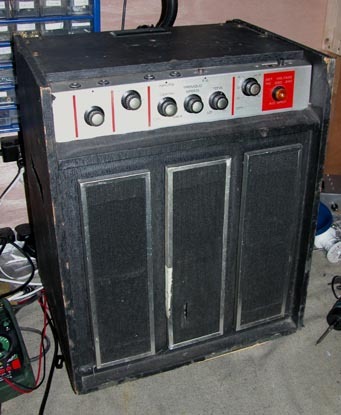 1x12inch Celestion vintage 30.
the last picture on the page. The Deluxe sounds marvellous, and both of the Mods have done exactly what was intended. The power scaling particularly is vastly superior to other forms of attenuation. Out last night and switched to the second reduction setting and kept all the dynamics; marvellous. Hi Dennis, The valves came today and the wee orange terror is sounding great. Thanks for your help the other day in getting the Marshall back in business. The work and support we have had from you has been top notch. Thanks again. Paul Murray, Aberdeenshire July 2011. Just a small note to let you know how happy I am with the service and the mods you carried out on my little 1986 JCM 800 Combo a couple of weeks ago. It is now a wonderful sounding amp that can finally give me the tones I've been chasing for many many years. The 25 year old amp was in pretty poor shape when I took it down to you and you've done wonders with it. 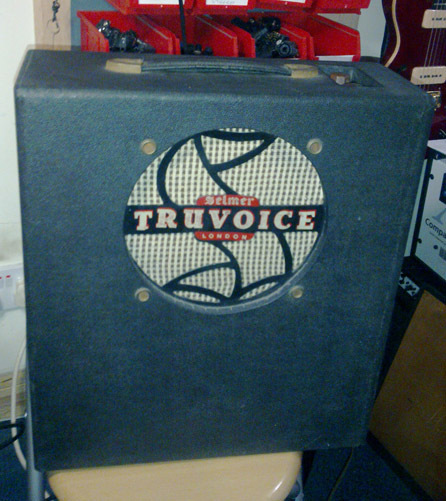 I've had many high end amplifiers over the years (JCM's, Jubilees, JVM's, Blackstars etc.) but this little old combo now beats any of them - amazing! I will definitely be recommending you to anyone who needs a good amp tech they can trust! I mentioned the purpose of my call was to thank you for the excellent job you did to the repair of my Boogie MK4. I had initially given it up for dead as it had already been inspected and returned un-repaired by two other amp/ valve specialists. 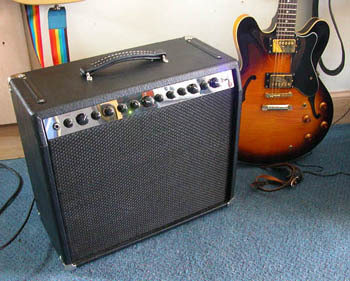 After being recommended by Boogie UK office to contact you, within the week, you had received, repaired and shipped the amp back to me in full working condition. On extensive testing over the last few months, I am very pleased to report that not only has the amp been fully repaired without any problems, but it seems to sound better than ever. The clean tones are stunning, lead saturation sings and the crunch settings for rhythm are perfect. Peavey 5150 mods and re-tubing. "Last night's show was a blinding success and Andy is really chuffed with the way his amp is sounding. So thanks again for all you hard work. Davis" (Ocean Colour Scene backline Edinburgh Feb 2010).